Tiffany joined Anterra in 2013 and is currently a Regional Manager. She oversees over 1,000 units located within the North Dallas area. 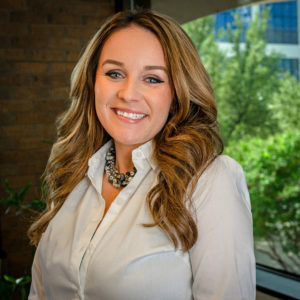 Prior to working in the multifamily industry, Tiffany served in the United States Marine Corps as an Intelligence Analyst where she completed a one-year tour in Afghanistan. Tiffany earned her CAM in 2016. With her energy, experience, and time on-site, she strives to create a highly driven and focused team. Outside of work, Tiffany and her husband stay busy with their 6 children and 1 granddaughter.